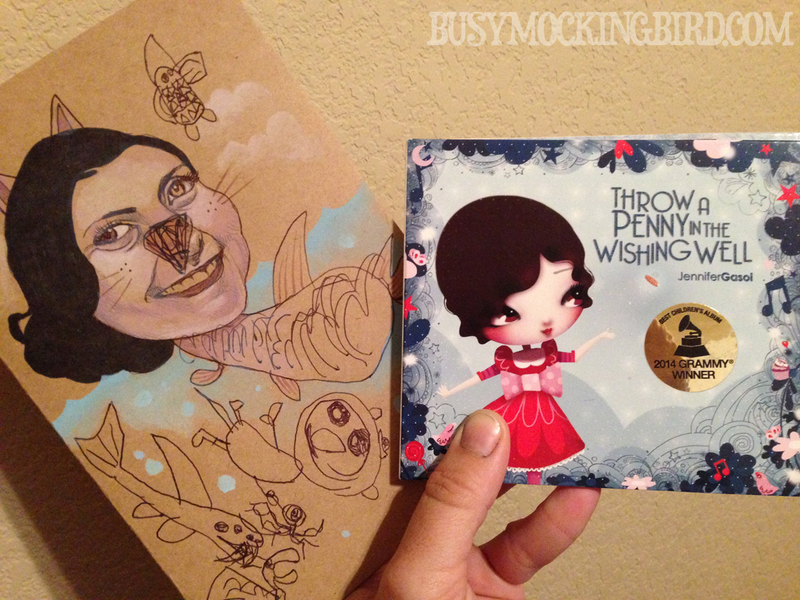 Awhile back, I got an email from Canadian musician Jennifer Gasoi, who won a Grammy this past year (whaaaa????!! ), saying that she enjoyed our collaborations, thought we might enjoy her music, and wondered if she could send us a copy of her award-winning album. You’d like to send us a copy of some awesomely fantastic, jazzy, hip-shaking music that Myla & I could jam out to? Why, yes PLEASE! 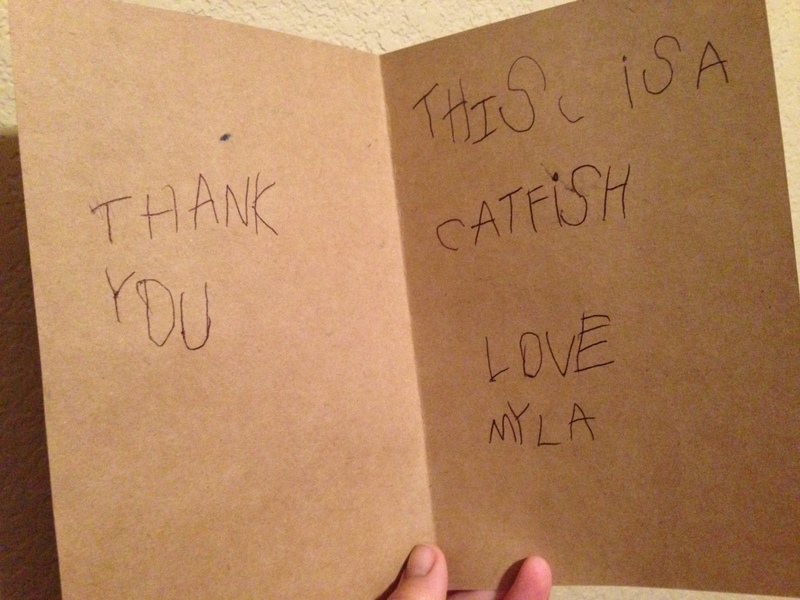 Myla told me what she wanted to write on the inside, and I helped her spell it. 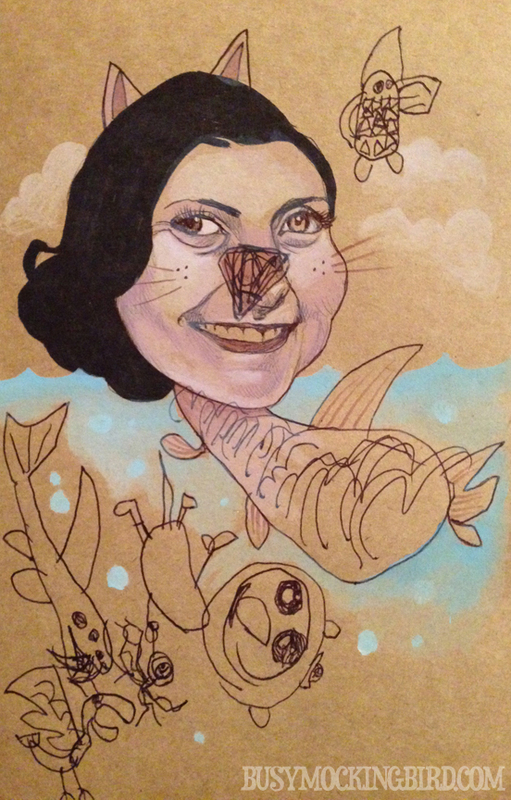 I’m not sure exactly why she turned Miss Gasoi into a catfish, surrounded by other underwater creatures, but that’s what she was inspired by at the time. So please, go check out Jennifer Gasoi for yourself, and get a little dancing in your toes!